Why Is Mirae Asset Emerging Bluechip Fund Considered the Best in its Category? Mirae Asset Emerging Bluechip Fund (G) is a large and mid-cap fund which has significant orientation in equity instruments of small and mid-cap companies. This equity fund has shown a remarkable performance in the past and is one of the best in its category. The large and mid-cap mutual fund category is considered safe as well as beneficial for investing for long-term as the investor gets the stability and consistency of the large-cap companies along with the high growth margin of mid-cap companies. Large-cap companies are financially stable and experienced; hence they can withstand the unwanted ups and downs in the equity market. The mid-cap companies are neither inexperienced nor fully grown, they have an enormous margin of growth and have a slight experience of the market, hence they can produce huge returns. The credit for this remarkable performance goes to the fund managers who are highly experienced and talented. Gopal Agarwal: He is managing the fund since its inception and is a senior fund manager at Mirae Asset Mutual Fund. He is a B.E. and MBM. He has worked with successful financial firms like Tata AMC, SBI Mutual Fund, Kotak Securities, HDFC Securities, IDBI Capital, UTI Securities and IPCL. Neelesh Surana: He is a B.E. In Mechanical and MBA in Finance. Before joining Mirae Asset Mutual Fund, he was associated with ASK Investment Managers. He is also managing the fund since May 2010. They invest the majority of the corpus in the companies of the banking and finance sector. More than 28% of the corpus is generally allocated to financial firms. In recent years, 5-15% of the corpus is allocated in equity instruments of small-cap companies, 40-50% of the corpus is invested in mid-cap companies, and 40-50% is invested in that of large-cap companies. The large-cap and mid-cap companies generally have nearly equal allocation which is the reason why the fund has been able to generate bumper returns. The fund welcomes investment only through SIP and lumpsum is allowed. The minimum initial amount to be invested is Rs 5000 after which the SIP of minimum Rs 1000 can be started. It has an aggressive portfolio, and the investor should consult with a financial expert before investing to check whether the fund is suitable for one’s financial goals or not. 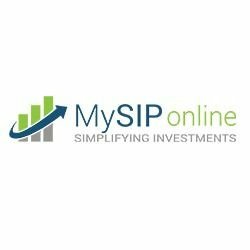 Connect with the experts of MySIPonline to invest in this fund today and get their premium assistance anytime.